Welcome to Upcycling with Junkin Joe and a very Happy BLACK Friday on everyone! 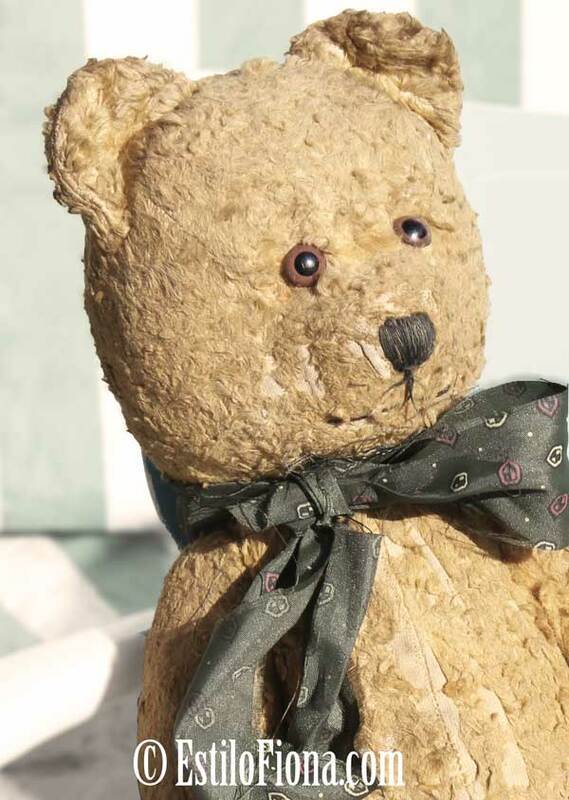 If you love upcycled projects, home decor diary’s, fabulous craft projects, refurbished and painted furniture tutorials, vintage finds, flea market glories, sweet recipes and everything in between…you are in the right place. 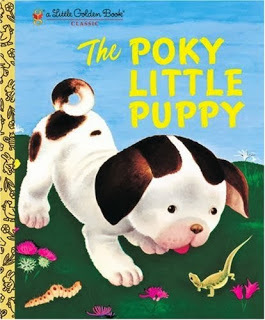 So come on in and share in the fun features and the linky party. 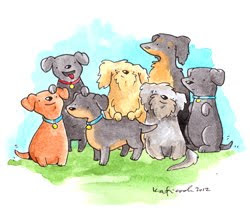 Everyone is welcome…you can even link up your Etsy Shop! Hi friends, how are you! For all of you that are in the states…how was your Thanksgiving? Hope you all had an amazing day with your family and friends! Are you all off to the sales today? We are not…YAY!!!! : ) Just trying to get back to normal…one thing about a holiday in the middles of the week…it totally throws you off on what day it actually is now…do you have that problem? 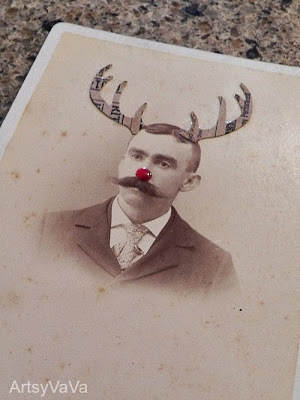 Well without any further ado…let’s see what is happening in the wonderful world of the Junkin Joe Family! Since we have now waved the Fall so long…it is time for Winter Fun…So LET IT SNOW says Denise…on a whim it the cutest of fashion. 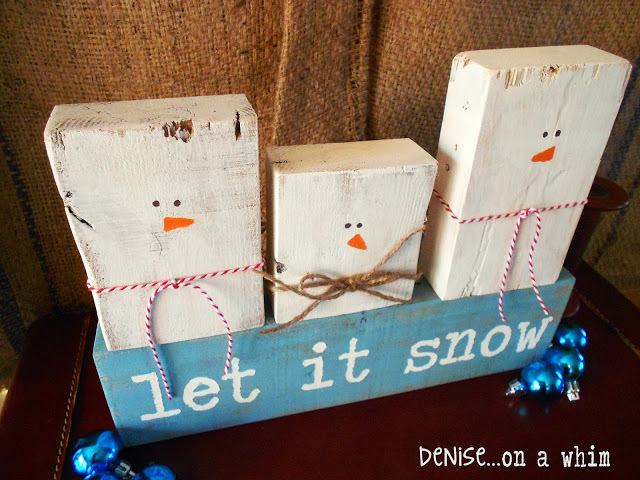 Drop by her whimsical blog and get the DIY on this Snowman Trio that you can create from reclaimed wood…you know how much we love a good upcycle here and this one is fabulous! 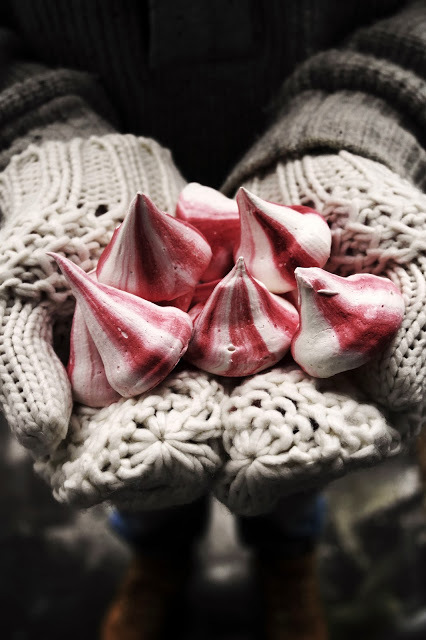 Mittens are on and the most amazing little candy stripe meringues are just waiting to be eaten over at Twigg Studio. These would be so perfect as a treat for any reason…they are just too adorable plus they taste oh so yummy! 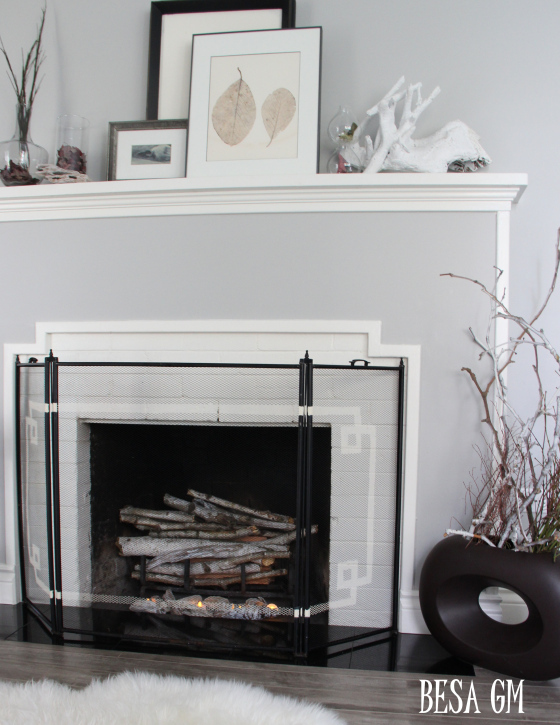 Here is a fun project over a BESA GM…it is a fabulous Fireplace Screen Mini Makeover…just in time for those winter months. 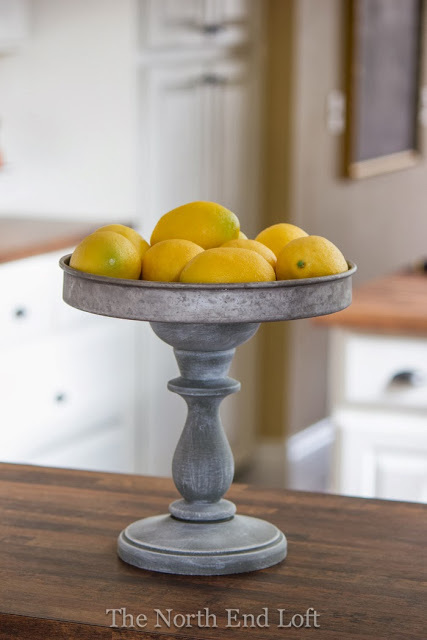 Drop by and see the before and after and the DIY! Through the Dutch Door has a beautiful refurbished piece of furniture you need to check out! So pretty! 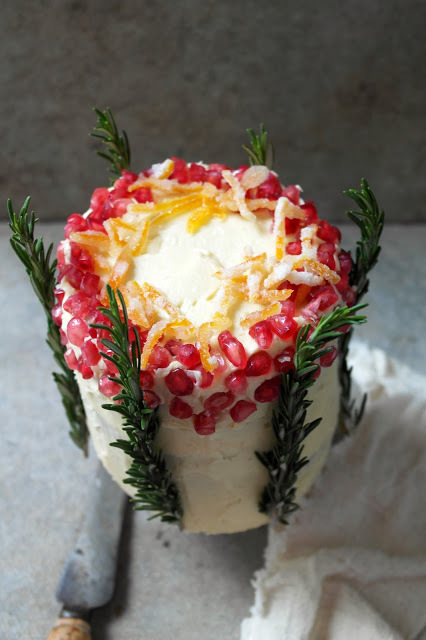 You are going to love this feature over at Artsy VaVa’s place! It’s all about Altered Art and a possible Haunting? Do I have your attention…go check it out…smiles for all! 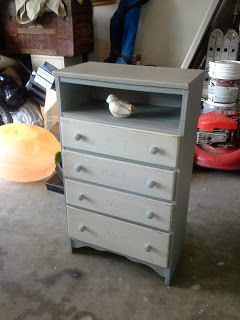 Laurel over at North End Loft has such a Fabulous and Wonderful Upcycled DIY for us today …so simple and SOOOOO Spectacular and did I mention it is easy and brilliant!!! I know that I will be making more than one this year FOR SURE! 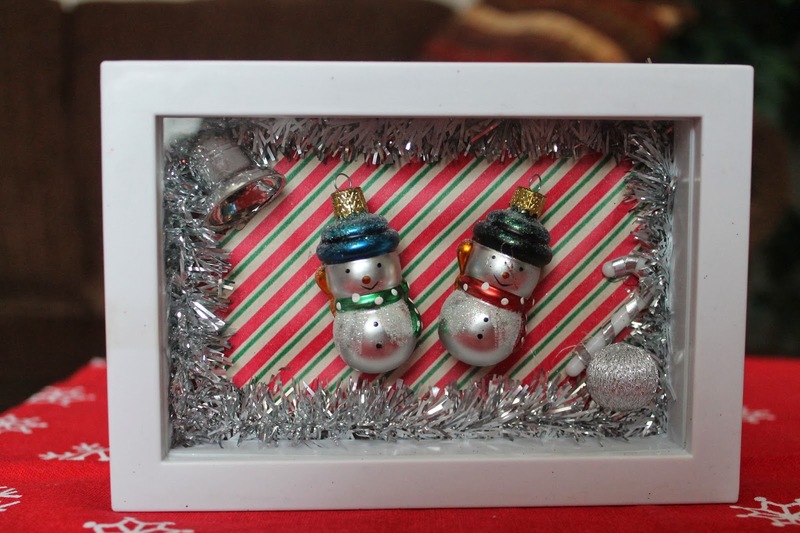 How about these adorable hand crafted snowman earrings over at A Little Bit of Everything! A perfect shadow box! 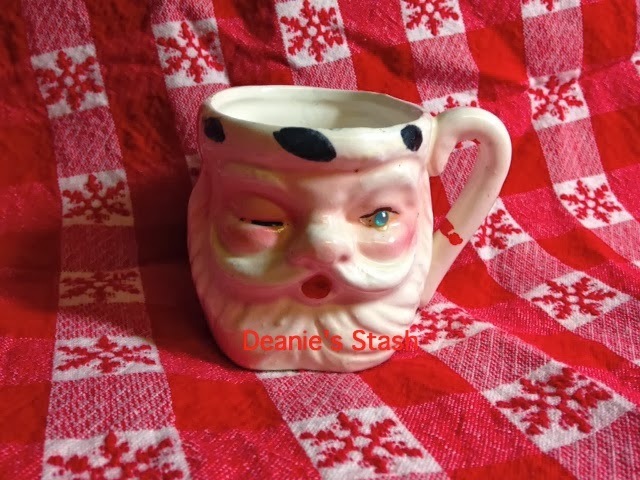 Here’s another fabulous HO HO HO Vintage Find over at Deanies Stash! 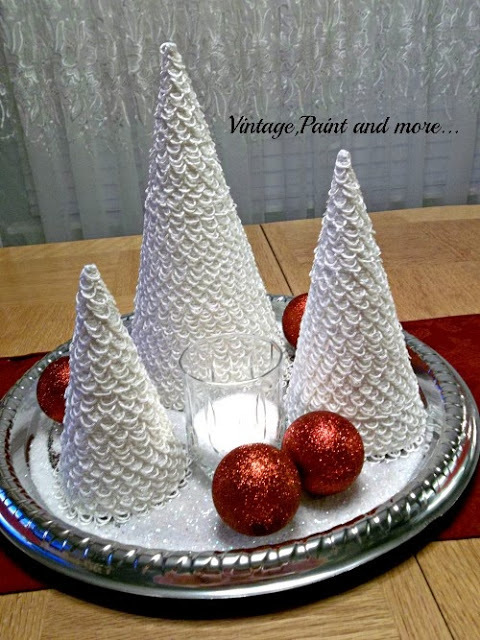 Drop by Vintage Paint and More for some awesome Christmas Crafting!!!! You will love it! Just look at this beauty! 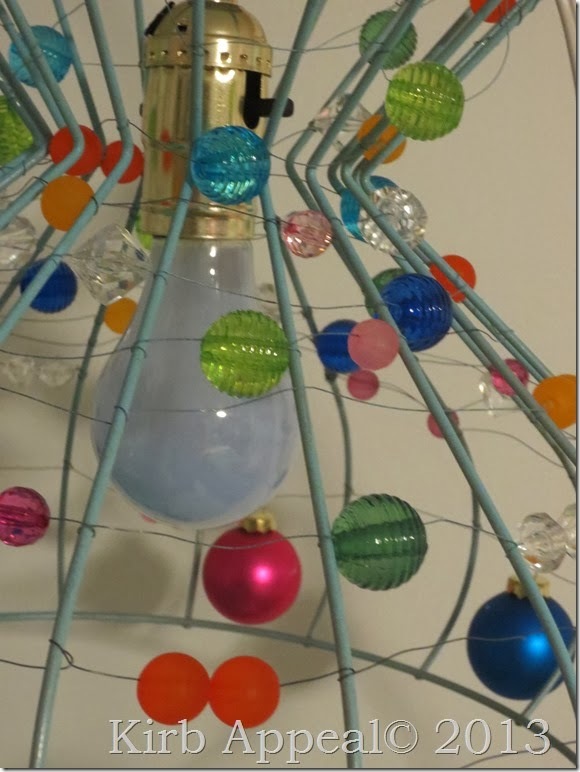 If you are looking for a Shabby Chic Winter Wonderland…take a trip over to Penny’s Place!!!! You will be there for hours and hours and hours!!! AMAZING! There is just so much to see! 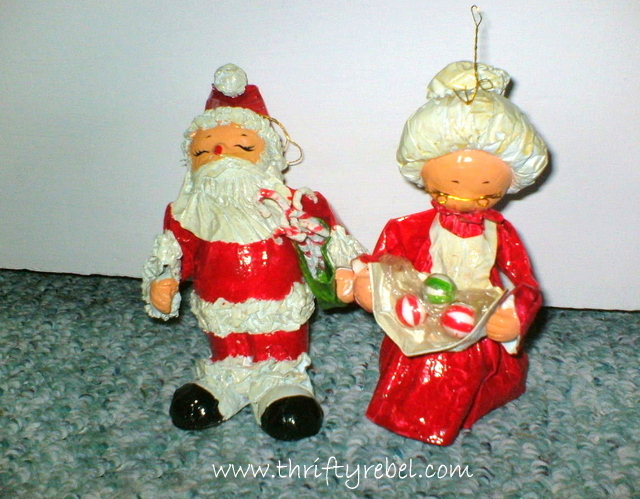 Thrifty Rebel has some Thrifty Holiday Finds! HO HO HO! 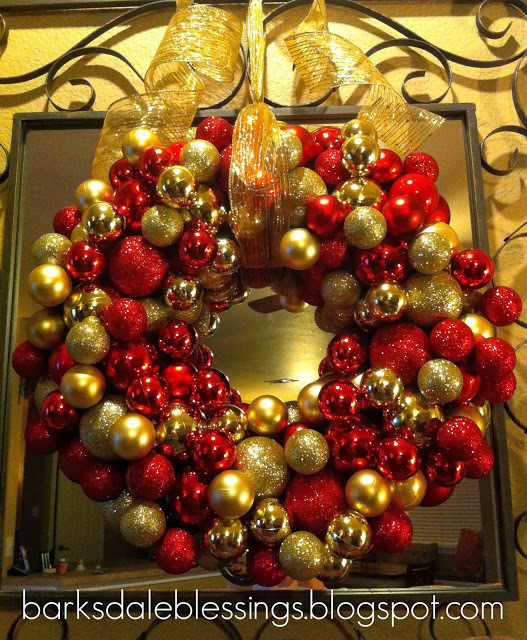 Barksdale Blessings is sharing a Wonderful Whimsical Wreath DIY that turned out amazing!!! Gather up those ornaments my friends and get crackin! 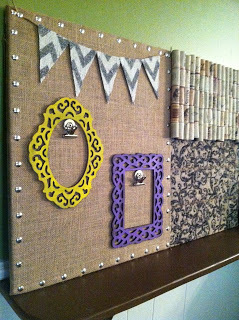 Burlap and Bananas has a fabulous Shabby-Chic DIY Bulletin Board…it’s thrifty…fun and fabulous! 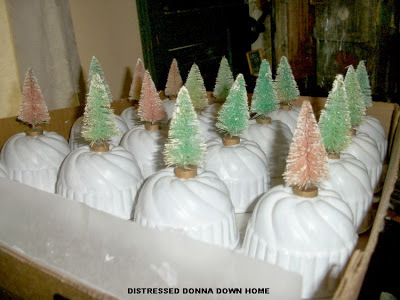 She shares the DIY…check it out! 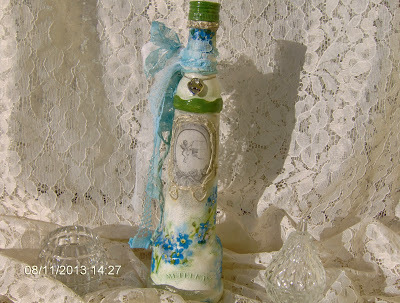 Someone is going to be very happy when they get this gorgeous upcycled bottle from Martinel…for all of you vintage lovers…check out the tiny little forget-me-nots…so sweet and beautiful like everything she creates. Come and see Thrifty Chick get her Thrift on! Really…SO FABULOUS FINDS!!!! 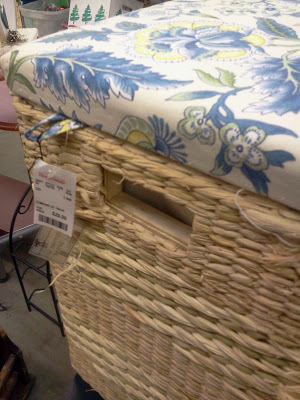 Some even have the original price tag…cool! 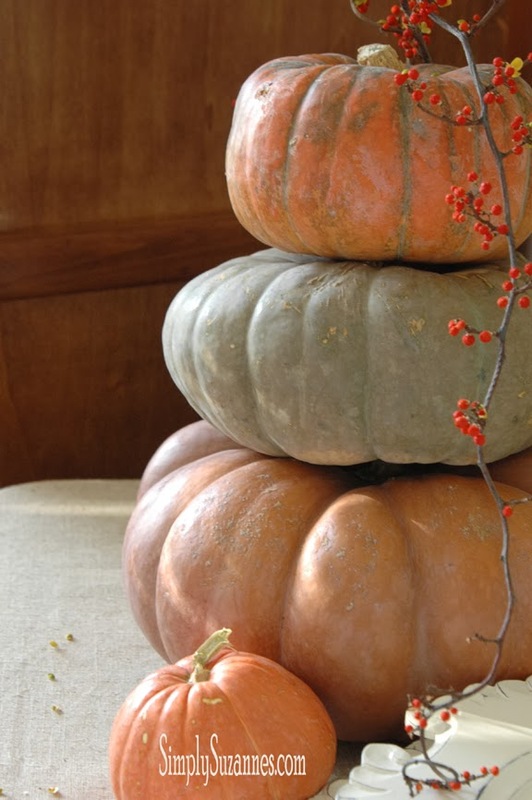 Our oh so sweet Simply Suzanne’s gives us one more look at Fall! Bittersweet…but it will be back next year : ) It’s a guarantee! Thanks for all the Fall beauty my friend…it was fun! 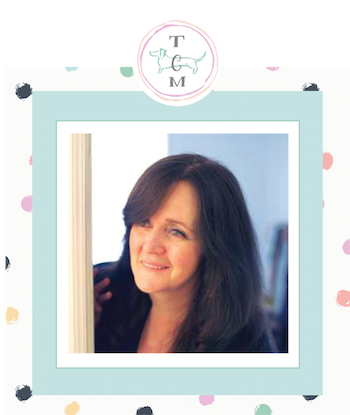 Thanks so much for the feature…again! It makes me happy to know that my projects are liked by others:) I hope you had an awesome Turkey Day and I look forward to all the creativity that will go down on today’s “Junkin’ Joe”! Hi there Anne! It is always fabulous to see your smiling face! : ) Sending hugs up north…hope you are staying nice and warm! Talk to you soon! Thanks for featuring the snowmen! Hugs!! 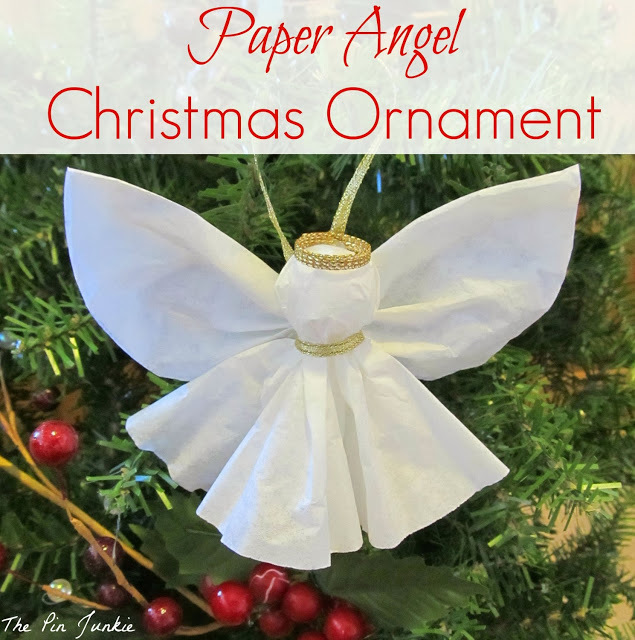 Thanks for featuring my paper angel ornament and I hope you had a wonderful Thanksgiving! You are so welcome Penny. 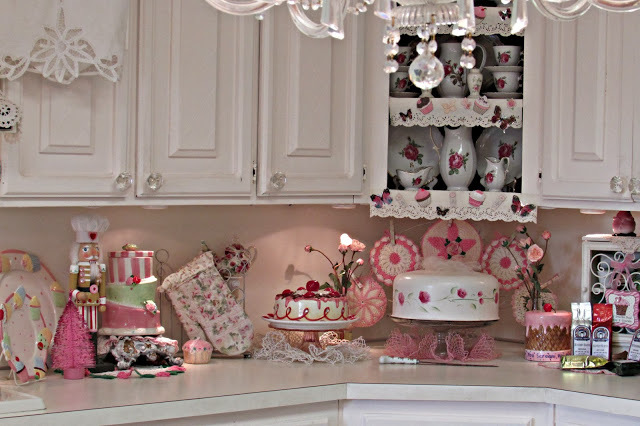 Your house is like a WONDERLAND!!!! Love love love it! hugs! Thanks for hosting. Its great to have such a welcoming party. Hi Andrea. Counting down now to Christmas. Busy time of year. Thanks for having your ‘everyone welcome’ Junkin Joe party. Love joining in. Great features, as always – thanks for including my shadowbox post. Those are not earrings though, they’re just tiny ornaments! Such lovely, lovely features! Happy Friday! Pretty cool features. Here I am with my C’mas den and tree too! Enjoy your Tksgiving weekend. Thank you for hosting another great link party and for featuring my firepalce screen makeover.Have a great weekend. 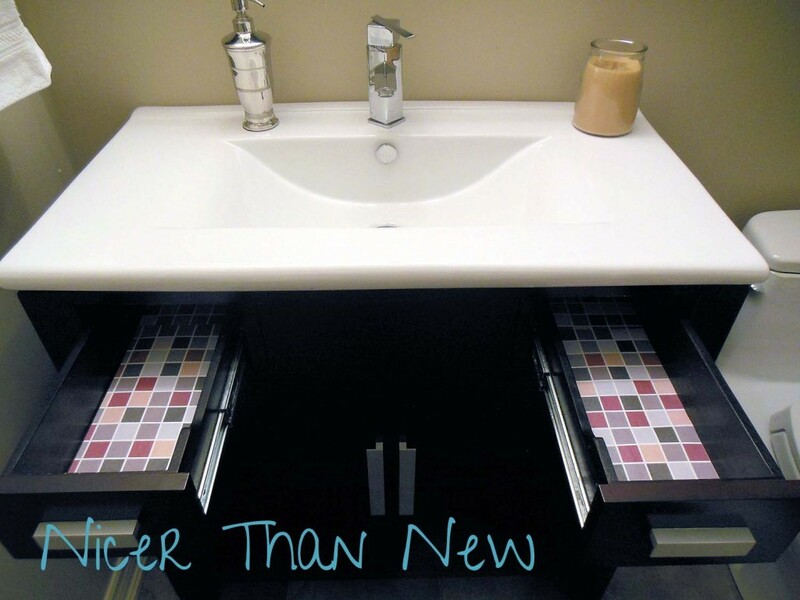 Thanks a bunch for featuring my cute, clean and quick drawer liners. Thanks for hosting a fun party! Thank you so much for featuring my altered art. So far so god on the haunting!!! Hope you had a great Thanksgiving! Thank you for featuring me. Have a great week and thank you for hosting! 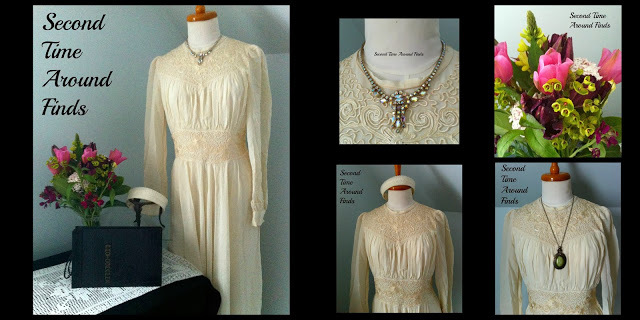 Thank you for featuring my grandmother’s wedding dress. I do wonder if she was as busy as I have been these past few weeks looking into and booking things for her wedding. Thank you for featuring my pedestal, Andrea!